Shallow clay bowl with knob handle and small pouring lip on rim. Fair condition for age, mottled finish due to condition of clay. Ochre gloss glaze to interior and exterior of bowl and handle. Dark brown tip to handle. Unglazed flat base. 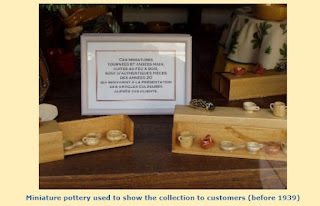 France has two major pottery producing areas. One is on the west coast in Brittany, centred on the town of Quimper and the other is on the eastern border with Italy in the Alpes Maratime. These are from the east. AEGITNA was begun in the pottery town of Vallauris in France's Alpes Maritime region in 1920 by the young Placide Joseph Saltalmacchia. The town, known in Roman times as Cordula is now an extension of Antibes (Roman Antipolis) and is located about 30 miles from Nice. Historically, Aegitna was a town of the Oxybii located near Antibes mentioned in the Ligurian war, (Complete Histories of Polibius XXXIII), believed to be the early name for Cannes. 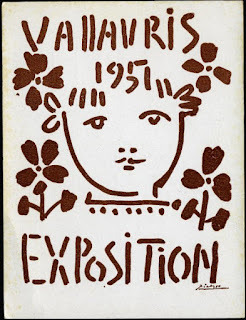 From 1948 until 1955 Pablo Picasso lived in Villauris, leading to a renaissance of the pottery industry there. Some of his works are still seen there by tourists today. The abundance of clay and timber in the area has supported a pottery industry for centuries. The bronze statue of “Man with a Sheep”, Picasso's gift to the town, stands in the main square and marketplace, Place de la Libération, beside the church and castle. The castle of Vallauris is the former priory of the Abbey of Lerins, built in the 16th century. 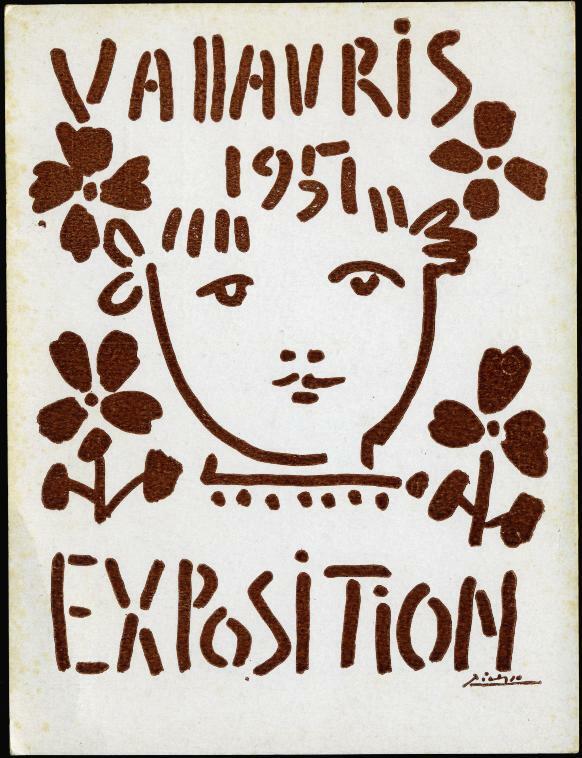 It contains the National Picasso Museum. An international biennale of contemporary ceramics is also held in the town. Pottery has been made in the area for centuries and blossomed during the 19th Century, particularly Massier and Foucard Jourdan. Today the main street, avenue Georges is almost entirely pottery shops. Modern Vallaurus is lead glazed earthenware, often highly coloured. Domestic tableware and cooking pots feature. Four members of the Saltalmacchia family have worked in Subreville street in the town between 1877 and 1936. 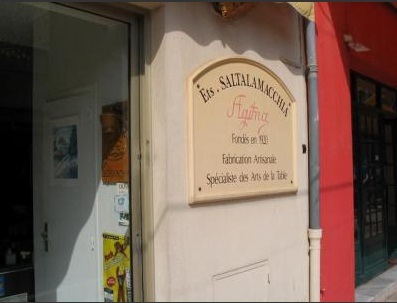 Placide Joseph Salatalmacchia, born 1903 worked at Aegitna from 1920 until 1977 when he was replaced by his son Joseph. Joseph continued until 1988 and was replaced by Grand daughters Gaby and Nicole Honorine who is a self-taught sculptor. Aegitna’s other pottery is very collectable, particularly their colourful oyster plates.